Because so many of my clients are looking to hire fundraising staff, I’ve spent quite a bit of time reviewing job descriptions. And it is no wonder that bad hires happen. 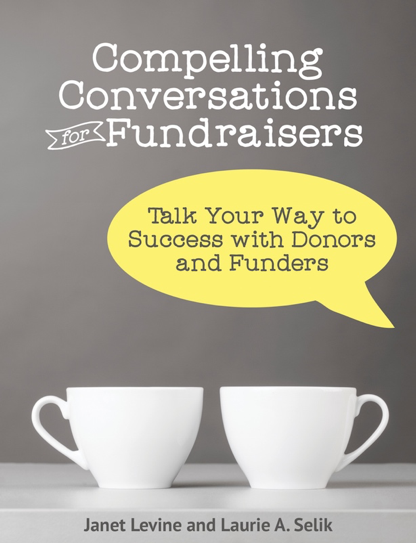 Fundraising is not monolithic, and it doesn’t proceed neatly from one step to another. You don’t get an annual donor, then seamlessly move that person up the ladder to be a major giver. Corporate gifts are gotten in totally different ways than foundation grants and both are unlike individual giving. Which, of course, is very different depending on the size of the gift, the style of asking….in short, fundraising is multitudes and the ways you raise money diverse. You’d never know that from job descriptions. Fundraisers are expected raise funds from individuals, corporations, and foundations. They need to know about annual, major and planned giving. They must work with and manage the board. And on top of that, they will have to have a clear knowledge of this or that database, donor research tools, budgeting, and a host of other skills. Besides which, whether they actually have staff or not, they are expected to be a talented manager. And yes, a good director of development should have working knowledge of many of these things. But be real—if you want to set someone up for success (and why would you hire for failure? ), you need to be more specific about what you need this person to accomplish. In a one or two-person office, development staff often have to juggle a lot of hats. But you must be clear which hats are most important. Start by deciding what is needed. If keeping the status quo is what you want, then look to what kinds of fundraising is happening and find someone who can and will continue doing what you’ve been doing. But if you need to increase, then you need someone who has skills in different areas. For example, most of my clients do some sort of arm’s length fundraising: direct mail, social media, special events. But if they want to increase their funding, they probably need to look for someone who has skill in building relations and asking for larger gifts. If your grants are humming along nicely, you don’t really need someone whose main talent is identifying new (for you) foundations. But if you want to grow foundation funding, that is a skill you should be looking for. While there are many people—especially those of us who have worked in the field for many years—who have the ability to raise funds from many different sources, understand that doing so dilutes all efforts and will ensure you have less than a robust funding base. Figure out what is most necessary and hire for that. And consider what you can most easily outsource. Grantwriting is often that area that doesn’t really need a full time staff person and there are many really good freelancers around. But if you want to grow a mid-level or major gift program, you need to hire a staff member who understands relational fundraising, has the skill to identify and qualify appropriate prospects and then can go out and move those prospects toward larger gifts. It’s a balancing act, and everyone must be on the same page so you can all get where you want to go. Janet Levine Consulting works with nonprofits, helping to increase fundraising capacity. Visit our website, http://janetlevineconsulting.com, to see how we can move you from mired to inspired. This entry was posted in fundraising, jobs and tagged development directors, hiring, ways of fundraising. Bookmark the permalink.